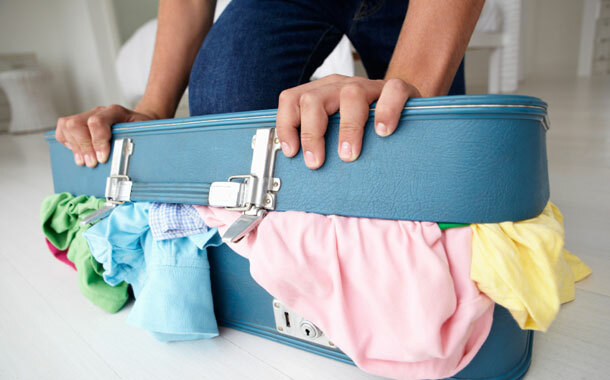 If you are dragging a heavy suitcase across a sandy beach or struggling with a heavy backpack on an uphill climb, chances are that you did not listen to your mum’s tips on packing right for a trip! It’s not the destination alone but the thrill of handling your baggage well that adds that extra abandon to a holiday. Drop the incessant counting of baggage at every pit stop and enjoy the break instead. Here’s how to make the burden of packing seem lighter. Give your memory a break and rely on the convenience of a list. Keep it handy, possibly on a phone, so you can keep adding to it weeks in advance. Looking at the list regularly helps eliminate unnecessary things and adds stuff that might slip your mind at the last minute. Choosing the Gear - Selecting the correct bag, with optimum space, is the most crucial part of packing. A backpack may serve you better for treks or porter-less destinations. Roll your clothes and create well-stacked compartments instead of bothering about creasing your clothes. A vacation that demands eveningwear and formal shoes means arriving with a suitcase. After checking the weather and picking the correct clothes, allow very little room to pack extras. The key to a well-packed bag is space management. Remember that ironed clothes fit better but used ones have to be squeezed in. Therefore, always leave some extra space. Also, if you have the luxury of laundry, you can drop the three extra shirts and pack just the extra one for contingency. If you are travelling with company you know well, explore the option of sharing bag space. Usually women like to add an extra dress for the evenings along with matching shoes and accessories. A brilliant way to beat space woes is to choose clothing which you can mix and match. If some of your clothes are in the same colour palette, then accessories and shoes can be repeated. Participative packing is the best way out of those holiday tantrums. Include your kids in the decision making by letting them pick a favourite stuffed toy, book, or sipper – whatever they find comfort in. Put limits on multiple toys but have them pack their things to get them feeling involved.